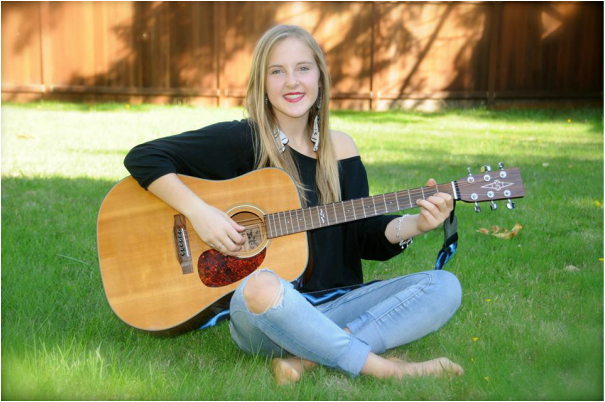 Eden Pierce,15, has been involved in music for most of her life. She plays the piano, guitar, bass, and she sings. Eden was in an all girls band called the Sub Pilots for about four years. Eden’s first love was the piano. She has been taking lessons from Scotty Perry from the Sugar Beats since she was six. They have collaborated on a number of projects over the years including musical theater and more recently studio recordings of original music. Eden has been involved with grrrlz rock for a number of years and is always delighted to support such an amazing organization. Matrisha rocks!